The Nature’s Classroom program runs in the Spring and Fall. Prime dates in April and October fill up quickly, but March, May and November are great times to be at camp as well! Nature’s Classroom at DuBois Center is a great way for any middle-school aged classes to come explore the natural world. The Nature’s Classroom program is geared to enhance the classroom learning and curriculum for middle-school aged students. Parents, Teachers, and school nurses come with their students to provide supervision. How many people do I have to/can I bring? Our minimum for overnight accommodations and food service is 15 guests. We can accommodate up to 58 students and 8 chaperones in our four cottages and 24 guests in Hickory Lodge. Do you do overnight camps? Yes! 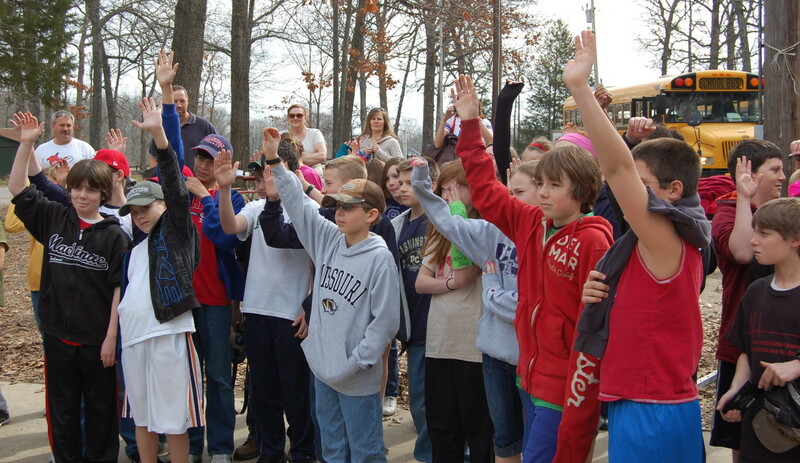 Our guest groups and schools who come for Nature’s Classroom often stay for 3-5 days. They provide adult supervision for their own children overnight, and during break times during the school day. Can we just come for a day? Of course! Coming for just a day can be a great way to check out the Nature’s Classroom program and see if you might want to come for a longer stay in the future. We have great programming options for day groups. Do you help with the planning? From the beginning! The staff at DuBois Center will work with your group to plan the best options for your students, teachers, and chaperones to make your stay at DuBois Center one you will always remember! Our horses provide some of our campers’ favorite memories! Horseback riding is a great addition to any Nature’s Classroom program. It is an added cost to the standard program. Our cooks make some great meals and we have healthy, delicious options for all of our guests. If you have special dietary needs, let us know in advance and we will work with you to make sure your dietary needs are met. We can send you a PowerPoint presentation which provides a good overview of the program. We also would love to come to your school and talk with interested teachers and parents about how we can make a Nature’s Classroom program a great fit for your school. How do I book a date/see if a date is available? Give us a call at DuBois Center at 618-787-2202 and we will be happy to talk with you about scheduling your group. Or, feel free to fill out our interest form as well and we can call you back with the information you need. You can call us at 618-787-2202.